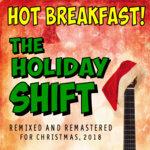 The Holiday Shift - Remixed & Remastered for 2018 | Hot Breakfast! 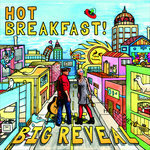 'The Holiday Shift' is a little glimpse into how Hot Breakfast! sees the winter holiday season. Sometimes, it brings out the worst in us; we behave badly ("The Holiday Shift") and resent having to shop for presents ("Don't Get Me Anything"). But sometimes, it fills us with joy, whether we're just driving around with a good friend in need ("I'll Be Home On Christmas Eve") or letting the sight of snowflakes fill us with innocent wonder ("Everyone's A Child When It Snows"). We wrote most of these songs in the summer and early fall of 2016. But we had scheduled our recording session for November 9, 2016 - a day that happened to follow what we can safely call a deeply stunning and wildly historic night. In fact, we were stunned into wildly historic silence, and we realized we needed to put our project aside for a few days. This wasn't the most practical option, as our EP release party was less than five weeks away, but it was certainly necessary. We finally shook out of it and got to work. But while the recording sessions were fun (there are few things we love more than recording), we really had to hustle. We recorded in our home studio, so we could work all night if we wanted. 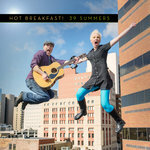 But it takes a highly skilled professional to engineer and mix music, and while this wasn't our first roldeo - we engineered and produced our first EP, and half of our debut album '39 Summers' - it's a tremendous challenge, especially under the pressure of a time crunch. Bottom line: we were happy with the results, but not thrilled. 'The Holiday Shift' was always intended to have a loose homemade sound, but we really struggled with it. Some of the songs just didn't have the sonic coherence we were hoping for. So this year, we decided to do something about that. We made two crucial decisions. The first: we wouldn't record any new tracks for these songs, an excellent declaration of artistic integrity which we immediately broke it by adding our newly acquired baritone saxophone to "The Holiday Shift." The second: we wouldn't change the arrangements, alter the performances or (crucially) clean up any mistakes. Our goal wasn't to make the SONGS better - we just wanted them to SOUND better, while still sounding like the same songs. But really, what we needed was someone to Master the songs. Mastering is a specialty that requires someone with the ears, the thoughtful consideration, and the technical skills (and tools) to bring mixes to life. Especially when those mixes, like ours, are sincere, but flawed. Enter the amazing Philadelphia-based musician, singer, songwriter, and producer Cliff Hillis. Not only was he a joy to work with - he put up with our many re-re-remixes and answered all our neurotic questions - but he made our mixes shine in a way we never could. So many, many thanks to Cliff Hillis. And to Ritchie Rubini for recommending him. 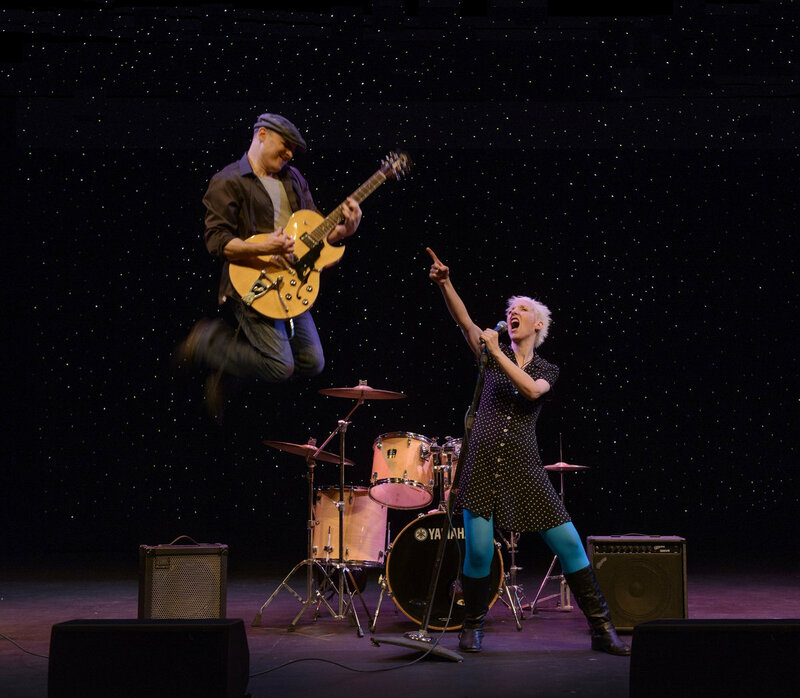 Finally: our liner notes from December 2016 read, in part, "as we head into 2017 filled with anxiety, fear, and even a little hope, knowing that New Year's Day changes nothing but the calendar date, we remind each other - and ourselves - that this season really can be a time of renewal, of love and respect for each other, and peace on earth - no matter what we do or don't believe." That's all still true. The anxiety and fear we lived with two years ago is still with us, growing deeper, poking us whenever we dare to relax and get comfortable. It's a drag, but the hope - that's still there too. And it's growing deeper, too. So please have a happy, healthy, hearty, and safe holiday season. 'The Holiday Shift' is currently free, because the best present you can give us this holiday is letting us be a part of yours. And oh yeah - don't be like us. 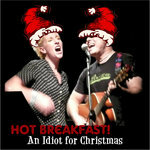 Get your shopping done early ("An Idiot For Christmas"). Joe Trainor: piano solo on "I'll Be Home On Christmas Eve"